The West Highland White Terrier is a small, spirited dog with a friendly, energetic disposition. Due to its relative independence, it can be left alone for reasonable amounts of time without developing separation anxiety. The West Highland White Terriers, commonly referred to as Westies, offers a lot of dog in a small package and are especially popular in urban areas since they can have a great life even in a small apartment as long as the owner takes them out on frequent walks and play sessions and provide the dogs with both physical and mental stimulation. In this article, you will find a lot of interesting West Highland White Terrier information. Did you for instance know that the breed is the mascot for the popular Scotch whiskey Black & White? In addition to exercise, frequent brushings is the most time consuming part of proper West Highland White Terrier care. Brushings are important to keep the coat clean and distribute the natural oil evenly throughout the coat of the dog. Frequent baths are not recommended, because this can dry out skin and coat, especially if shampoo is used. When you have to bath you Westie, use a detergent-free dog shampoo for soft skin. Even without frequent baths, Westies are prone to dry skin. Another important aspect of proper West Highland White Terrier care is to clean the inside of the ears suing a cotton ball or piece of cloth to prevent oil and was build-up. Without proper cleaning, the West Highland White Terrier can develop ear infections. 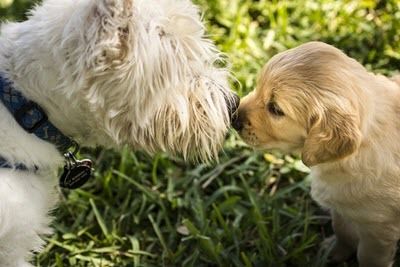 The West Highland White Terrier puppy looks like a small, white fur ball and most people fall in love at the spot. Before you decide to get one for yourself, you should however sit down and ask yourself if you are willing and able to provide this dog with the right care for the common 10-15 years or even longer. You should also ask yourself if the West Highland White Terrier is the perfect breed for you. Getting a West Highland White Terrier puppy is a good idea if you want a vigorous dog in a small package. It is not a good idea if you want your dog to join you on long bike rides and similar, since this terrier is very energetic but tire fairly quickly and needs frequent naps throughout the day. West Highland White Terrier training and breeding started out in the United Kingdom and two of the most prominent names in the history of this breed are Colonel Edward Donald Malcolm and Chieftain of Clan Campbell, the 8th Duke of Argyll. The West Highland White Terrier can trace its ancestry back to the Cairn Terriers and the Scottish Terriers, and white Bedlington and Dandie Dinmont Terriers has also been introduced to the bloodline prior to the mid 19th century. The focus of traditional West Highland White Terrier training is to create dogs ideal for hunting on Scottish moors. Being white is a survival trait under these conditions, because brown dogs can be mistaken for foxes and shot. Today, West Highland White Terrier training does not have to include hunting elements, but if you do not hunt you have to provide your dog with some other form of exercise that stimulates it physically as well as mentally. Westies are for instance known to like advanced obedience, agility and earth dog competitions. According to the American Kennel Club standard, the aim of West Highland White Terrier breeding should be to create a small, well-balanced and hardy looking terrier equipped with a great deal of self-esteem. Westies should be happy, alert, brave and friendly, and timidity as well as excess pugnacity is considered faults. In addition to this, West Highland White Terrier breeding should ensure that the dogs exhibit good showmanship and are strongly built. The coat should be roughly two inches long and always white in colour. The West Highland White Terrier is a cute little dog and this has unfortunately made it a perfect breed for puppy mills that produces as many puppies as possible without caring about the physical and mental health of the breed, nor of the individual dogs. 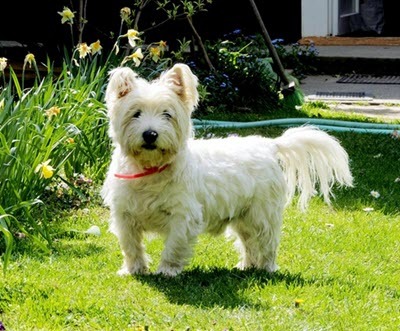 When getting a Westie it is therefore very important to stick to serious and knowledgeable West Highland White Terrier breeders that strive to minimize the risk of poor health in the breed. The West Highland White Terrier price varies a lot from breeder to breeder and going for the cheapest available puppy is seldom a wise decision. Always compare what you actually get for your money. Has the puppy been checked by a qualified vet, vaccinated and de-wormed? Are the parents vet-checked and of high quality ancestry? Is the puppy well socialized?